It’s been nearly five years since Aaron woke up in the hospital so broken, he couldn’t stand the sight of his own face. The flashbacks no longer dominate his life, but he’s still unable to find intimacy with his lover, Spencer Thomas. With time, patience, and the support of his family, his therapist, and his loving partner, Aaron has figured out how to live again. The problem is, Spencer hasn’t. His life has been on hold as he waits for the day he and Aaron can have a normal relationship. Hoping to move things forward for them both, he takes a job as a programmer in downtown Chicago, leaving Aaron alone. Reeling in the wake of Spencer’s absence, Aaron receives another shock when his attackers are caught. Now, he must testify and verbalize his worst nightmare. Publicly reliving his trauma without Spencer at his side destroys his precarious control. But he finds someone who can understand and empathize in Jordan, who watched his brother cut down in a school shooting. With Spencer gone and the DA knocking at his door, Aaron seeks solace in Jordan, and Spencer will have to risk everything to hold on to Aaron’s love. So I had a difficult time with this story because despite its name, Spencer, I felt that this was more about Aaron. 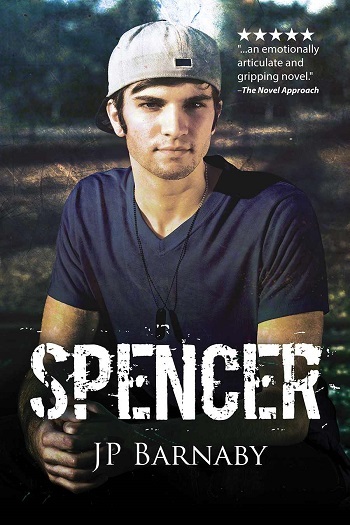 Yes, Spencer was in this story and we got to see how he handles living on his own, going to work, and keeping his relationship alive, but ultimately, this was more about Aaron's ability to cope. While Spencer is out working and living further away, Aaron has to cope with the fact that his past has come home and is now expecting things of him. We get to see how Spencer is able to cope with being far away when he believes that Aaron needs him. However, it's a very limited look at how Spencer copes because he is always coming home. You also see his brothers and their struggles in this story. And while this is supposed to be about the relationship between Spencer and Aaron, I felt that we saw more between Aaron and his new friend. Overall, it was a powerful story about surviving. However, I just didn't think that it was about Spencer. 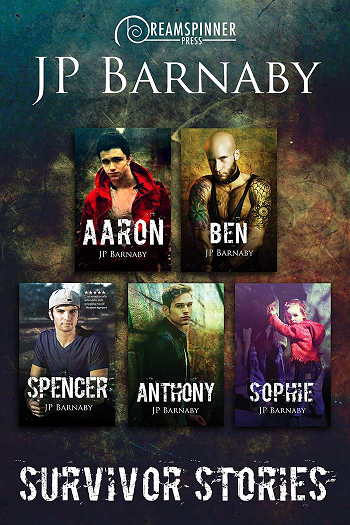 Reviewers on the Wicked Reads Review Team were provided a free copy of Spencer (Survivor Stories #3) by JP Barnaby in the Survivor Stories bundle to read and review.